The late Harold Luce’s name has taken on a quasi-mythical quality in the Chelsea area and beyond. Playing well into his old age, Luce and his toe-tapping fiddling provided the musical entertainment for hundreds of dances and other gatherings in neighborhood kitchens and at local grange halls and community centers. His vast collection of reels, jigs, and medleys comes back to life every first Monday of the month, when the Harold Luce Tribute Band performs at the Chelsea Senior Center. 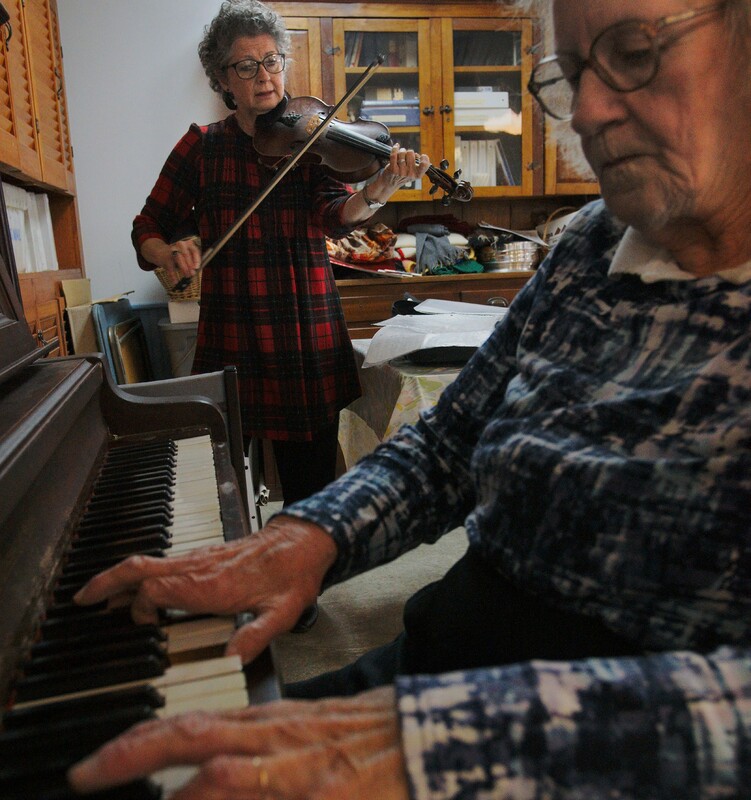 Bonnie Tucker, Luce’s former student, plays fiddle, while Donna Weston, his daughter, works the piano keys. Pausing between numbers, Tucker gestured to a set of well-worn sheet music on the table. Luce, she said, recorded his tunes—he knew around 500 of them—in his own unique tablature. Letters denoted the strings and numerals, the fingers. If a note was long, Tucker pointed out, there was a line above it. Knowing just how long to hold the pitch involved a bit of guesswork or a lot of training by ear. “These are his songs the way he did them, so we’re kind of keeping his legacy alive,” said Tucker of the monthly concerts in Chelsea. She and Weston travel from Essex Junction and Middlesex, respectively, sharing a wealth of traditional music with audiences at senior centers and contra dances around Vermont. Looking back on her time playing with Luce, Tucker said “he was all about teaching and making people happy”—a gift to keep passing down.